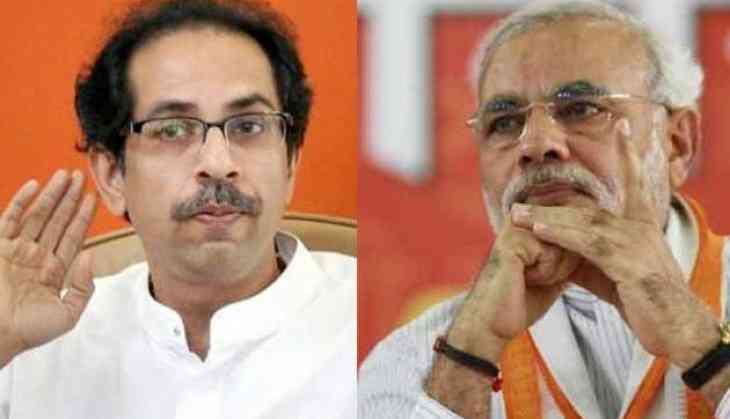 The first phase of Lok Sabha elections covering seven constituencies in Maharashtra will see a tough contest between the ruling BJP-Shiv Sena and the opposition Congress-NCP alliances. The Congress is in a direct fight with the BJP in four of these constituencies and with the Shiv Sena in two others. Besides, the NCP is locked in a battle with the BJP in one seat. There are 116 candidates in fray and over 1.30 crore voters are eligible to exercise their franchise at 14,919 polling centres. Of the total voters, 66.71 lakh are men, 63.64 lakh women, and 181 belong to the third gender category. Voting for 48 Lok Sabha seats in the state will be held in four phases on April 11, 18, 23 and 29. In the first phase, Wardha, Ramtek, Nagpur, Bhandara- Gondiya, Gadchiroli-Chimur, Chandrapur and Yavatmal-Washim constituencies will go to polls. In Nagpur, Union minister and senior BJP leader Nitin Gadkari and Congress' Nana Patole, who quit the saffron party in 2017, are pitted against each other. Dalit and Muslim voters are likely to play a crucial role in Nagpur, which is the headquarters of the Rashtriya Swayamsevak Sangh (RSS), say political observers. In the other constituencies, the Kunbi and Banjara communities could be the deciding factors, they say. In Chandrapur, Union Minister of State for Home Hansraj Ahir is seeking re-election for the fourth time. The BJP leader's main rival is Suresh Dhanorkar, who last year quit the Shiv Sena and joined the Congress. In Wardha, the Congress has fielded Charulata Tokas, its women's wing chief, against sitting BJP MP Ramdas Tadas while in Gadchiroli-Chimur, BJP nominee Ashok Nete's main opponent is Namdeo Usendi of the Congress. Besides, senior Congress leader Manikrao Thakre is in fray from Yavatmal-Washim where Shiv Sena's sitting MP Bhavna Gawli is seeking a fourth term. In Ramtek, the Congress has fielded Kishore Gajbhiye against Sena's sitting MP Krupal Tumane. In Bhandara-Gondiya, the NCP, contrary to speculations of fielding party heavyweight Praful Patel, has nominated Nana Panchbuddhe against BJP's Sunil Mendhe. The NCP has replaced its sitting MP Madhukar Kukde, who won the last year's bypoll after Nana Patole resigned from the seat and the BJP. In view of the summer heat during the polling time, the Election Commission has directed the authorities to make drinking water available and put up sheds for voters. The material required for polling has been given to the district collectors. Polling in Naxal-hit areas of Gadciroli-Chimur seat will be held from 7 am to 3 pm. In Wardha, comprising 17.41 lakh voters, there will be 2,026 polling centres, while in Ramtek, 19.21 lakh voters will exercise their franchise at 2,364 polling centres. In Nagpur, 2,065 polling centres will be set up where 21.6 lakh voters would exercise their franchise, while the Bhandara-Gondiya constituency will have 2,184 polling centres for 18.08 lakh voters. In Gadchiroli-Chimur, there will be 1,881 polling centres for 15.80 lakh voters, while Chandrapur will have 2,193 polling centres for 19.08 lakh electorate. Besides, the Yavatmal-Washim constituency will have 2,206 polling stations for 19.14 lakh voters. Nearly 44,000 electronic voting machines (EVMs) and 20,000 VVPAT (voter verifiable paper audit trail) machines will be put to use and 73,837 people will be deputed to conduct the polling process. Two ballot units will be placed at the polling centres having more than 15 contestants, along with one control unit. For the first phase, 26,000 ballot units and 18,000 control units have been provided.